Short Term Lease 6-8 Months. Dates Flexible. Beautifully Furnished, Owners Home. All Utilities Included! Convenient Location, Two Blocks From Islington Subway, Bloor St. Shops And Restaurants. Superbly Upgraded. Immaculate, Luxury 2 Bdrm. Spacious, Modern Townhouse (Approx 1350 Sf). High Ceilings, Bright Front Corner With Expansive Wdws On 3 Sides. Kitchen W/O To 70 Sf South Facing Sundeck. Built-In Oversize Garage. Ample Storage. Great Location!!! Quiet Safe Building, 24 Hr Security, Exercise Room, Party Room, Games Room. Fantastic 1 Bedroom Suite Located In A Great Area Within Walking Distance To Islington Subway, Numerous Bloor Street Shops And Amenities. Fantastic Layout, Upgraded Flooring, Large Kitchen W/Lots Of Cupboard Space, Breakfast Bar, Back Splash And Large Closets. 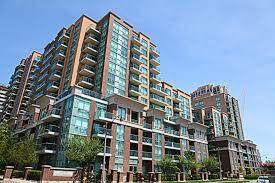 Rent Includes Underground Parking, Locker, Hydro, Heat, Cac And Water! Just Move-In And Enjoy! We have mapped out Michael Power Place MLS listings from Realtor.ca on the Toronto Real Estate Board. Find Michael Power Place Condos for sale at Etobicokehomes4sale.com! Built on the old St. Joes Michael Power Catholic School property this complex offers a perfect location to Islington and Kipling Subways, both 5 minute walks away. Great restaurants and Pubs( St. James Gate Pub) Johns Fish and Chips, many great Sushi and a Turkish restaurant, all along Dundas Street West or more choices on Bloor St West east of The Beer Store is Orwells Pub, The Longest Yard, Shipp Centre now known as _________________________________. Safety wis the 22 Division Police Building is just south of the complex on Bloor Street West. Great Amenities of course attract the younger clientelle as first home buyers not ready yet for the home purchase.